He was the foundation lecturer of the English Literature Department of the Jaffna University. Since 2005 he has been organising the annual Tamil Studies Conference at the University of Totonto, which was first of its kind in the North American continent. 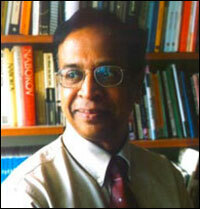 He was providing silent leadership to the Tamil literary and academic world in Canada. Graduated at the University of Peradeniya, he got his Ph.D from the University of British Columbia. Earlier this month, University of Toronto congratulated him on becoming a Fellow of the Royal Society of Canada. Some of his notable publications are: In Our Translated World: Contemporary Global Tamil Poetry (2013); World Without Walls: Being Human, Being Tamil (2011); Nedunalvaadai (2010); You Cannot Turn Away (2010); New Directions: Essays in Tamil Studies (2009); Wilting Laughter: Three Tamil Poets (2009); History and Imagination: Tamil Culture in the Global Context (2007); Counterrealism and Indo-Anglian Fiction (2002); Ed. Lutesong and Lament: Tamil Writing from Sri Lanka (2001); Dark Antonyms and Paradise: The Poetry of Rienzi Crusz (1997);Configurations of Exile: South Asian Writers and Their World (1995); Structures of Negation: The Writings of Zulfikar Ghose (1993); articles on B.S. Johnson, Achebe, Narayan, Rushie, Ondaatje, Desai. In 2009, Kanaganayakam translated and edited the poems of three Eezham Tamil poets, Puthuvai Rathnadurai, VIS Jayapalan and R. Cheran. Of them, Puthuvai Rathnadurai, who was living in Vanni during the war, was last seen among the people herded to the barbed-wire camps. He was taken into custody by the SL military and was missing since then. Professor Kanaganayakam's field of research was Postcolonial Literature. He was lately researching on Contemporary Indian Literature and on South East Asian writing. 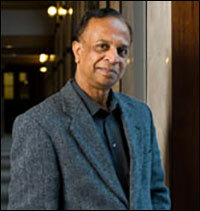 “Chelva was an excellent translator of fiction and poetry from Tamil to English, his translation of Nedunalvaadai - a classical Sangam Tamil epic - is a great work of finesse, beauty and painstaking detail,” says Dr. R. Cheran, who closely worked with Professor Kanaganayakam in many literary, academic and social ventures.